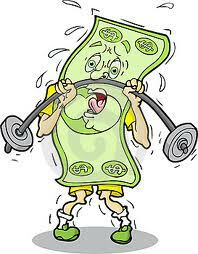 What is Helping the Dollar Defy Gravity? What in the world is helping the U.S. dollar defy gravity, keeping it from falling relative to other currencies? The U.S. economy’s recovery is weak, job creation is awful, President Obama is incompetent, the Congress is deadlocked, and America is turning inward, or returning to its traditional isolationism. Moreover, the Fed continues to print dollars (by buying $85 m. worth of Treasury bonds monthly). There is an enormous overhang of printed dollars out there. China has lots its appetite for buying dollars. According to Floyd Norris (New York Times, Feb. 22-23/2014), China bought a net $48.5 b. worth of U.S.Treasury bonds last year. This is $20 b. less than in 2012. China now holds $1.27 trillion in Treasury bonds; together with Japan, this amounts to 42 per cent of the total $5.8 trillion in Treasuries held by all foreigners. There is a great science fiction plot here. What if those foreign Treasury holders decided to spite the U.S. by dumping their dollar holdings? The dollar would crash, stock markets all over would drop, and an enormous crisis would result. Why would anyone do this? Well, America has plenty of ill-wishers out there. The fact is, the fate of the dollar, and the U.S. economy, is now in the hands of Chinese, Japanese and others, who hold vast amounts of U.S. assets. By great good fortune, just as China is easing off its dollar purchases to support the dollar, Japan, under Abe and his “Abe-nomics”, has stepped up its buying. Japan bought a huge $71.3 b. in Treasuries in 2013, up from $53 b. in 2012. Japan is now the single largest purchaser of dollar assets. Of course, Japan does this to weaken the yen and help its exports. So far, it isn’t working too well. It is significant that the American public, including the banks, slashed their holdings of U.S. treasuries. Clearly everyone knows that interest rates aren’t going down, they’re going up, which means Treasuries are going down, which means we should be selling them. Apparently, foreigners are more bullish about the dollar than Americans are. Not a good sign. Right next to Norris’ column is an account of Fed discussions during the 2008 crisis. It is very disturbing. It shows how clueless the Fed Open Market committee was, especially after the Lehman bankruptcy, and how the Fed continued to worry about inflation, when the pressing problem was in fact deflation. It seems that not only are there no competent political leaders left in power, there are no competent economic and financial leaders either. Tiger Mom’s Triple Package: Racism? Realism? “Tiger Mom” is back. Amy Chua, who wrote a book about her tough approach to raising her two daughters, as an Asian Mom, (Battle Hymn of the Tiger Mother, 2011) has a new book, co-authored by her husband Jed Rubenfeld: The Triple Package. * In it, they make a claim that several ethnic groups excel in America – Jews, Mormons, immigrants from China, Cuba, Lebanon, India, Iran, Nigeria — excel, because they are different. They have the triple package. First, impulse control, or self-discipline. Second, self-belief, self-confidence, almost a feeling their ethnic group is superior. Third, prejudice, or inferiority complex – the feeling they are persecuted, hindered, so they have to do like Avis – try much harder. 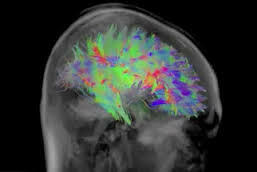 The authors make the claim that America in general is lagging because it lacks the triple package – especially, when everyone is trying to make others feel self-confident, worthy, avoiding frustration, and when ‘no child left behind’ focuses on the laggards rather than the geniuses. The ‘self-esteem’ movement, which wants everyone to feel good about themselves, seems to prevent tackling big challenges that might – heaven forbid – damage our self-esteem though (G-d forbid)…the F word, failure! The book has been pilloried, as racist and worse. It is not. My parents were immigrants. And they indeed tried harder. And they imbued me with the same ethic. Since when does the thesis that immigrant groups bring energy and the desire to excel become racist? The fierce criticism Chua and Rubenfeld have absorbed suggests they may have touched a nerve. In a society that fosters instant gratification, impulse control and self-discipline are becoming rare. Some groups still have it. They seem to succeed. Is that racism? Or realism? * Chua & Rubenfeld, The Triple Package: Penguin, 2014. 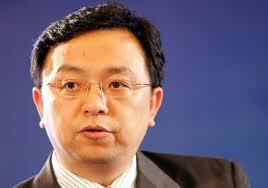 Microsoft has a new CEO, to replace veteran CEO Steve Ballmer. 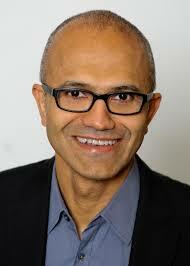 He is Satya Nadella, 47 years of age, born in India, and he has been on the job for 17 days. He’s been with Microsoft for 22 years; previously he worked for Sun Microsystems. He’s a computer engineer. Nadella was interviewed by the New York Times’ Adam Bryant (Feb. 21). In the past, Microsoft has never missed an opportunity to miss an opportunity. MS, Gates and Ballmer missed the Internet, smartphones, you name it, they missed it. Only flexibility and alacrity, the ability to recover, kept Microsoft alive. Gates was able to mobilize his forces, tell them up front we missed this one, then engage them in catching up. Microsoft is great at catching its foes from behind…usually. Nadella’s interview shows he understands what the key questions facing Microsoft are. And by the way, any large organization, competing in global markets. Here are some his observations. They are right on the mark. Take note, organizational experts. Don’t waste your time on your company’s organizational structure. It is irrelevant. You are being attacked by innovative startups that don’t even have one. “Everything now is going to be much more compressed in terms of both cycle times and response times.” MS is a huge elephant. It has to learn to dance, in Lou Gerstner’s phrase, because its competitors salsa, rather than waltz. He gets it! MS has ignored important innovations in the past, because they were too tiny to merit attention or managerial time. But they were the disruptive innovations that changed the world. Those indeed are the issues, Satya. Good luck to you. Now let’s see if you can deliver. You don’t have a whole lot of time. 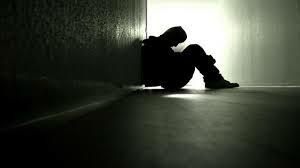 Reading my wife’s copy of the American Psychological Association’s MONITOR magazine, I found an article citing a study by John Cacioppo, showing that “the perception of loneliness” is closely linked to higher rates of mortality. It is the perception that is the problem. “It’s not being alone or not” that affects your health, Cacioppo says. “You can feel terribly isolated even when you’re around other people.” And indeed some people actually enjoy being alone. But there are those who perceive that they are alone, no matter how many friends and relatives they have to interact with. Loneliness can make people feel chronically threatened, and this emotion can wear on the immune system. We’ve known for a long time that our emotional wellbeing is directly, physiologically, linked to our immune system. 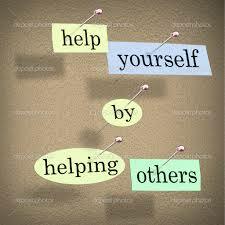 I have several friends who have experienced highly stressful situations and have fallen ill afterward. Apparently, the feeling of being all alone, with no one there to ‘catch our back’, is one of those emotional stress factors. I wonder whether Generation Y, the ‘connected generation’, the kids who permanently, 24/7, connected to one another by their smartphones, will feel less lonely than the older generations, when they cross 50. I wonder whether a cell phone SMS is a good substitute for a face-to-face hug or smile. I guess we will find out. I guess one action item emerging from this is: If you’re feeling lonely, find a friend; if you know someone who’s feeling lonely, be a friend. You may save a life. And it may be your own. * John Cacioppo, et al. Loneliness: Human Nature and the Need for Social Connection, 2008. [study of 2,100 adults ages 50 and older]. The BBC World Service program Health Watch recounts this morning how British cancer researchers, with a burst of creativity, have enlisted cell phone games to help them cure cancer. An intensive British study of the genetic foundations of breast cancer has revealed a number of genes related to the illness. It is complicated by the fact that breast cancer is not just one illness, but perhaps 10 different ones. This study involves study of massive amounts of data, much harder than finding a needle in a haystack. It requires identifying “peaks and troughs” in data, to find places where gene defects are linked to breast cancer. Someone had the brilliant idea, that the human eye is terrific at pattern recognition, better than perhaps software. 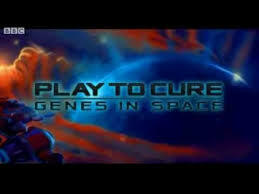 So why not create a game, Genes in Space, in which people with idle time, who play games on their cell phones, could view gene data, in the form of ‘peaks and troughs’, and play a game in which you get points for finding those peaks and troughs. It’s a real gripping cell phone game, perhaps not quite Angry Birds, but close, involving destroying threatening asteroids, etc. One ‘formula’ for creativity is X+Y. Find an X (search for genes related to breast cancer), and a Y (cell phone games), and find a creative novel useful way to link them, in a way that has not been done before. The British researchers have done that. They use the idle time of people to do something useful. Great idea, team. Are there other ways that we can use Angry Birds technology, to do good for humanity, instead of just burn time? Lego Rules, or, Break the Rules! In 2005 Lego (the Danish company that makes plastic bricks) surprised the world with its hit video game Lego Star Wars. Since then, there have been 15 released, published by Warner Bros. The latest is The Lego Movie Videogame, based on the hit 3D The Lego Movie, #1 in North America! In the Lego video games, everything is made from Lego pieces. This is extreme irony. The whole beauty of Lego blocks, of which I am a lifetime fan, having played with them with our four children and today, with our dozen grandchildren, is that you can imagine, dream and make anything out of them. Why in the world did Lego dump this crucial aspect? It reminds me of the cartoon I pasted above my desk: “Teacher: ‘I insist that you kids all be creative and imaginative – and do exactly as I tell you.’ “. There is an alternative. The Swedish 2011 virtual building-block game Minecraft lets you build absolutely anything you wish, anything you can dream. And it’s a huge success. Lego vs. Minecraft. This, in miniature, is the dilemma of our schools. Teach kids the right way, the only way… or teach them to find their own way, other ways, imaginative ways. 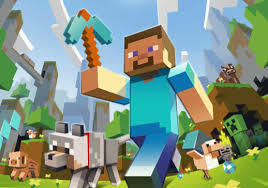 We need Minecraft schools. But how in the world do you create them, when our educators seem unable even to imagine them. It seems the Lego bricks we use to build schools lack a few key pieces — the ones labelled “think different” and “let your imagination soar”. Shirley Temple Black passed away on Feb. 10. She was 85. She became famous when she began a movie career when only 3 years old, and in 1935, when she was only 7, won a special Academy Award for her movies. As a child star, she once made 8 movies in a single year. During the Great Depression her movies brought joy and relief to millions. 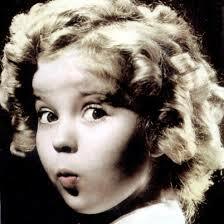 Shirley Temple’s signature song was The Good Ship Lollipop, which sold 500,000 sheet music copies. Child movie stars often have troubled adolescence and adult lives. But Shirley Temple figured it out. She realized that her ringlets and precocious acting, singing and dancing would evaporate when she grew older. After an unhappy first marriage, she married Charles Black and became a diplomat, serving the United States in the United Nations and as Ambassador to Ghana and Czechoslovakia. When asked what her secret was, she said, with a smile: Start early. The BBC recounts a great Shirley Temple story. She was once invited to The White House to meet President Roosevelt and his wife Eleanor. When the First Lady was bending over, Shirley (who was a tomboy) pulled a slingshot out of her pocket and fired a stone at the First Lady’s rear end. Eleanor Roosevelt stood up with a start. The Secret Service scoured the room… but no one suspected the curly-haired little angel. Shirley Temple’s life shows us that most of us, perhaps all of us, will need to reinvent ourselves and our careers at least once, when our skills and capabilities are made irrelevant by the rapid pace of change. We can do as Shirley did, and simply move on, adapt, adjust and find something new, or we can wallow in bitterness and regret. Like Shirley Temple, each of us needs to think well in advance, what will I do next, when what I do now is no longer relevant? And it’s best to start now. 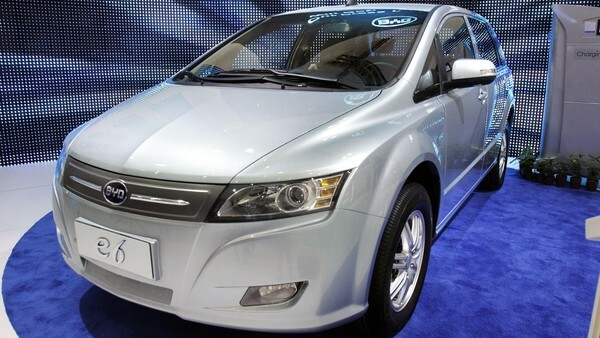 Build Your Dream (BYD) is a Chinese electric-car company, which I’ve written about before. It was founded by a genius Chinese scientist Wang Chuanfu, who invented a revolutionary lithium ion battery, then decided to build cars around it. BYD just announced (Financial Times, Feb. 10) that it will launch London’s first ever all-electric taxi fleet today (Tuesday). It thus beats London Mayor Boris Johnson’s deadline for all London’s taxis to be zero-emission by 2018. BYD has thus won the race against Nissan, and London Taxi Company (LTC, which makes the iconic black London cabs). LTC is now owned by the Chinese carmaker Geely. The BYD cabs can be ordered by smartphone apps (like Hailo and Uber); they have a range of 186 miles and will use a network of battery chargers installed by British Gas across London. BYD currently runs fleets of all-electric taxis across China, in Colombia, Hong Kong, and soon in Singapore. Warren Buffett’s Berkshire Hathaway owns a 10 per cent stake in BYD. Earlier BYD supplied London’s first-ever fully-electric buses. Mayor Johnson’s office says taxis create a third of all the exhaust emissions in London.